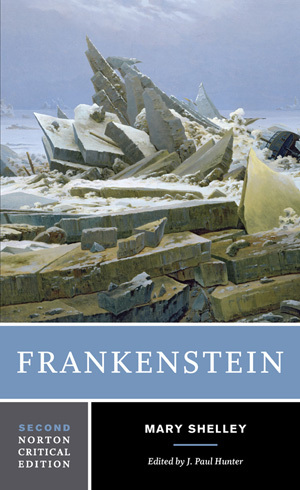 This spring I'll be teaching ENG 377: Topics in Romanticism at the University of Rhode Island. While romanticism is not my specialization and will be the first 19th-century literature course I'll have taught in my academic career, the gods must have preordained this assignment. I felt inspired to use The Penguin Book of Romantic Poetry this past fall (when I taught ENG 201: Principles of Literary Study), so having spent seven to eight weeks illustrating various modes of literary criticism with the writings of William Blake, William Wordsworth, Charlotte Smith, Robert Burns, Samuel Taylor Coleridge, Felicia Hemans, John Keats, Percy Bysshe Shelley, Lord Byron, and others, I feel primed (though still underprepared) for the semester ahead. Back in 2009, when I was still working on my Ph.D. here at URI, I was fortunate to be assigned ENG 265: Intro to Literary Genres (The Novel), which saw me teach quite a few nineteenth-century texts. Since ENG 377 is not a survey of romanticism, I thought I would try to interfuse my experience last semester with this earlier experience. The result? A course entitled, "Killing and Kindness: The Sublime Source of Morality, Justice, and Radical Sympathy." Before my 2009 class transitioned to 20th-century novels, one student raised her hand and asked, "Why are all these novels so violent? We haven't read one book that doesn't have a murder in it!" Indeed, most of the novels had several murders: Mary Shelley's Frankenstein, James Hogg's The Private Memoirs and Confessions of a Justified Sinner, Oscar Wilde's The Picture of Dorian Gray. When I got my assignment late last year, I recalled this student's question and wondered, "Would it be possible to link these texts—at least the earlier ones—with the legacy of romantic poetry?" This course investigates the link between several themes in romantic poetry and fiction: murder, morality, justice, fellow feeling, and the sublime. 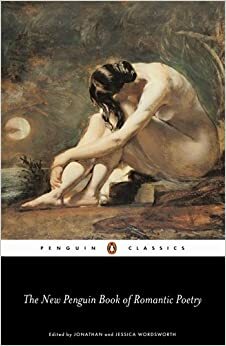 Though these themes are not unique to romanticism, we will investigate how our texts overlap, interfuse, confuse, and problematize them in ways that remain surprisingly germane to 21st-century readers. Fellow feeling—what we might also call “radical sympathy” (Aidan Day)—is a hallmark virtue of romantic poetry, especially that of William Wordsworth, whose work attempts to teach readers to feel and to see “around [us] here things we cannot see” ("The Ruined Cottage"). 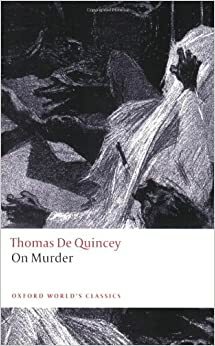 In many of the novels we’ll be reading, the murder of another person is not only a crime punishable by the state but an offense to radical sympathy, a sign not only of inhumanity or individual shortcoming but of total societal failure. As a metonym for the failure of institutions that promote war, poverty, and injustice, the thematic, dramatic, and theoretical clash of killing and kindness, of murder and radical sympathy, is potentially at the root of what we might call romantic morality or romantic justice (it will become important, we will see, to keep these two terms separate). And yet there is also something aesthetically alluring about “murderous machinations,” as Mary Shelley puts it. Though the murder of another person, especially someone for whom one ought to feel mercy or kindness, is terrifying, our novelists, essayists, and memoirists also present such acts with disturbing and captivating style and technique. We will see, I contend, that something akin to Immanuel Kant's sublime operates—both textually and phenomenally—as the source not only of fellow feeling or of moral power but also of disruption and destruction. It is—as our literature theorizes—the very source of what might make us moral creatures who learn to question moral codes and to take perverse pleasure in their transgression. What might we make of this sublime confluence of morality, justice, and sympathy—of killing and kindness—in romantic poetry and fiction? We'll have to see . . . 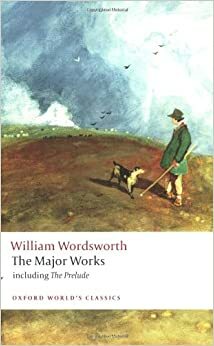 Though Wordsworth's poetry is not necessarily known for its fascination with murder, there is nevertheless a rather steady refrain of death, poverty, and injustice throughout his long and short poems. I will be spreading our readings of Wordsworth out between the fiction and nonfiction in the hope of making the "sublime" link between our many themes more prominent, problematic, and pressing.